Jake Cunningham is an uptight FBI agent assigned to protect Brandi O’Neill, a cocktail waitress who recently helped the tax fraud investigation of her billionaire boyfriend. When Jake’s wealthy parents unexpectedly call him home for the holidays, and Jake must bring Brandi along. Undercover Christmas is not available on DVD and has not aired on TV since 2011. As far as we know, CBS owns the rights in the USA to air to this movie. We encourage everyone to contact them directly. Perhaps if enough of us do, they will consider airing it in the future. Please put this movie on the market . I have looked for this great Christmas movie for the last few years on the Christmas movie channels and to no avail. So give us all a wonderful Christmas gift by letting us buy it or please air it. I love this movie. I watch the full movie on youtube. My bluray player has youtube built into it so I can see it on my tv. I look for this movie every year as it is one of my favorites. Please let us know if we can expect to see it again on tv. Please let me know if there is a DVD of this, I love and miss this movie!!! My husband and I have been searching every year for this movie to be on. It’s our favorite Christmas movie and we don’t understand what it isn’t being aired. Please bring it back!! WHEN WILL “UNDERCOVER CHRISTMAS” MOVIE BE ON LIFETIME THIS SEASON? IT’S MY FAVORITE CHRISTMAS MOVIE. It doesn’t make sense why Undercover Christmas isn’t aired or on dvd. What’s the problem? Please show this movie this year. I’ve been waiting forever to see it. What’s the problem? I can’t even purchase this movie. Why? Me too i love this movie!!! Anyone know who I could contact so my voice could be heard? My husband and I love Undercover Christmas, please show it this holiday season! We miss it. Undercover Christmas is mine and my mom’s favorite Christmas movie. Please re-play. I’ve tried to buy it on eBay and Amazon and got ripped off. The movie only plays on a computer and it is very poor quality. Please consider, its a great movie with wonderful celebrities. I have been waiting and looking for Undercover Christmas for a lot of years and haven’t found it anywhere. PLEASE show this great 2003 movie. Thanks for your consideration. Please show Undercover Christmas this year – it’s my favorite holiday movie and I seem to be in good company. If there’s a legal reason it can’t be shown (or sold as a dvd), could someone respond and let us know so we’ll stop searching for it? Thank you. PLEASE PLEASE PLEASE show UNDERCOVER CHRISTMAS this year. This is my favorite Christmas movie and I haven’t seen it in years. Is there a legal issue here as to why this movie is not again this year being aired?! No DVD and not on the air in several years. Something up with the copy rights? I would love to see it aired this year as well. I love this movie and have been looking for it to be aired the past year or two and can never find it. I wish you would put Undercover Christmas on DVD or air it at Christmas since so many people would love to see it , my daughter and i love this movie!!! I am so disappointed in the Family Channels Christmas movies this year. Hardly any of the old favorites I like. I am so sick of seeing Elf, Fred Claus, Santa Claus 3, Elf, and Elf, and then again. Next year bring back the favorites like Undercover Christmas, The Twelve Dates of Christmas (which played once at 6:30 in the morning!) I hope with a new name next year its better for the viewers. Another Christmas without Undercover Christmas??? It’s my favorite Christmas movie ever, and judging by the previous comments, I’m not the only one! If it can’t be shown on air for some reason, why can’t it be released as a DVD? My mother and I search frantically in 2014 trying to find “Undercover Christmas.” To no avail, it wasn’t aired. Please, please do whatever to air it this Christmas. Thank you and have a blessed Christmas and a wonderful New Year!!!! PLEASE PLEASE make Undercover Christmas available on DVD i have searched everywhere to try and find it, It is a great movie and i missed it last year please make it available on DVD i think it will be a hot sale, i already have purchased most all the others already, i enjoy watching them year round because they deal with family values and that beats whats on TV these days. Please email me if you make it available for purchase. Thank you! two years now and still no “undercover christmas”! WHY??? if this is supposedly a top Hallmark movie than why is it not being shown???? I am another Undercover Christmas fan. Why don’t you all play this movie? undercover Christmas please and the Christmas list try the older movies instead of showing the same ones over and over. Please air Undercover Christmas! So we can at least record it! It appears many would like to see it again. Why won’t someone air “Undercover Christmas” again? I don’t understand if so many people want to see it why they won’t show it! I absolutely ADORE this movie, Jami Gertz is one of my all time favorite actresses. Though I was fortunate enough to have someone dvr it for me, I’m afraid it will wear out! PRETTY PLEASE put it out on DVD!! Undercover Christmas is one of my favorite Christmas movies and am now just finding out that it isn’t even available on dvd and it was first shown on the lifetime channel in 2003 and it’s now 2015. other movies are available within months on dvd. This is an awesome movie which wasn’t even shown last year and owning this movie is a must. Does anyone know if this movie can be recorded from youtube or only watched? If someone at lifetime is able and can, please have this movie made available on dvd asap! so I can buy to have every year! Where is Undercover Christmas?! I’ve been trying to watch it for two years! Such a good movie! Is undercover Christmas on this year? If so, when? When will you be airing UnderCover Christmas? Please put Undercover Christmas on TV this year 2014. It didn’t play last year and I was very disappointed. Please! Play this movie for Christmas 2014 ! I totally agree! Movistar so far for 2015 are horribke. 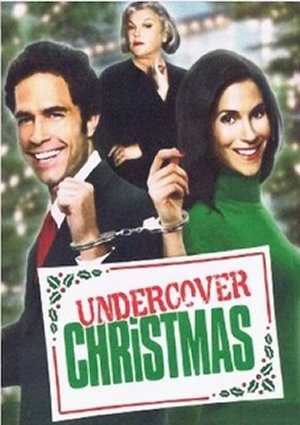 Putting Undercover Christmas with Shawn Christian on DVD would be awesome. Undercover Christmas is a great movie that the whole family loves. It would be wonderful to have it on DVD. Please put the undercover Christmas on DVD! I would like to jump on the band wagon in support of Undercover Christmas. This is a great Christmas movie – a favorite! I’ve never found an answer as to why it wasn’t released on DVD and would like to know if it ever will be. Please add this to your Christmas movies this year 2014 PLEASE !!! One of my all time favorites … I searched last year so hard looking for it PLEASE Thank You so much .. Please put Undercover Christmas with Tyne Daly on please please!!! PS: Since you and many stations have ran over and over and over the same movies this Christmas 2013 at this point why do you not just pull ones we have seen over and over and over and put Undercover Christmas in and some others older that where good. Not all are young age, some older would enjoy some of the not so modern movies for that is what some have is TV. I like most, but you got to gear to all. These new shows just leaves older people in unfair way for they pay top money for cable, they watch your station and a lot does not know how to do DVD/VCR or DVR. So think of that generation. Why will you not show some of the older Christmas movies. I and reading many likes Undercover Christmas, plus others from 90′ up through 2000’s. Please if cannot show 2013 Christmas put in these movies I am talking about for 2014 or when you do Christmas in summer 2014. Thank you! please put this movie on DVD It it GREAT and I want to watch it again!!!!! PLEASE PLEASE PLEASE PUT THIS MOVIE ON DVD ASAP.